Sprout and Blizzard my two greenest horses went to Lands Eventing at Offchurchbury near Leamington Spa. They both were in the 70 cm class for baby horses. The XC was well dressed with flowers and teddies etc, it was quite a lot to look at for a baby horse. Both horses did a nice dressage test both scoring 31.3, then jumped clear SJ and XC. Both set off very greenly XC getting braver and braver round the course, they launched bravely into the water jump and neither looked at the spookier fences near the end of the track. They incredibly finished on the exact same score to be joint 6th as they both had 11.2 time faults XC!!! Funny enough to have two horses on the exact same score but the same age and ridden by the same rider, a very amusing coincidence!! 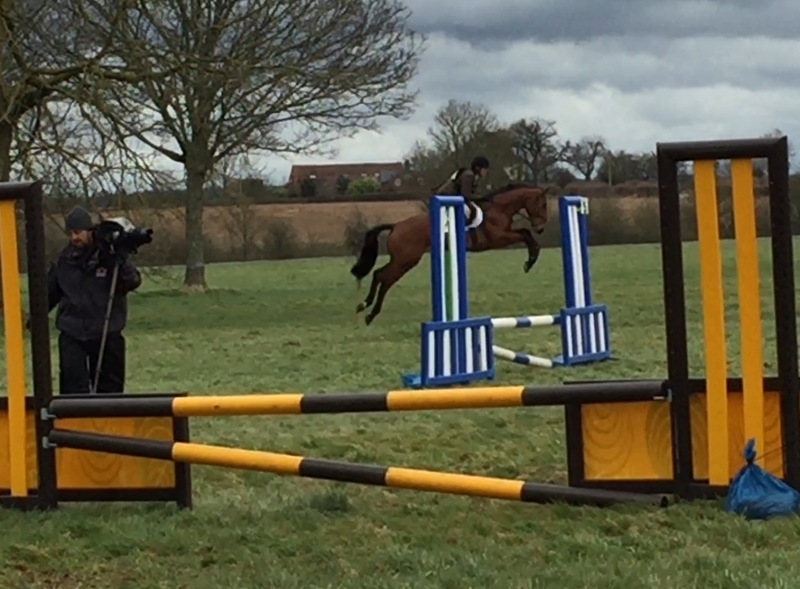 Photo of Sprout giving the SJ plenty of air, you can watch his SJ video here. News on Youngsters – 3 year olds. 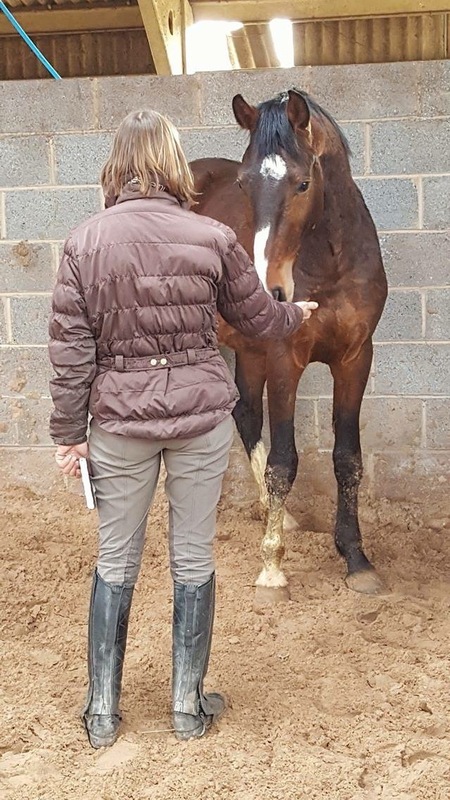 The lovely Dezina Diva is home from being broken in with Dave Mansell and Julie Houldey, she is a lovely mare, a stunning mover and has just jumped her first little course this morning. She will have a few weeks work then will be turned away until the Autumn. Dezina Double Dip is away being broken with Julie and Dave now. We have also bought a new horse Captain, pictured below, who is due to go off to Will Hunt in the next few days for breaking.